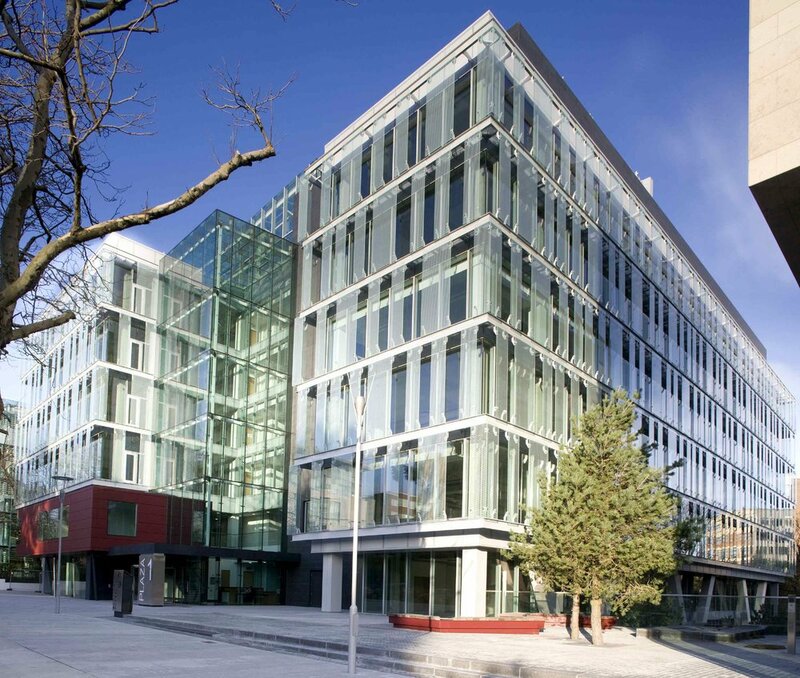 Burlington Road is an exemplar office scheme in the central business district of Dublin City. The redevelopment provides 30,000 sqm of high quality office space in two separate blocks over a basement car park. The blocks are linked by a landscaped garden at lower level and a new public entrance plaza at street level. High quality materials are used throughout the scheme such as stone and glass, plus a Corten steel meeting pod that is a prominent feature on the south side of Burlington Road. The core design considerations were energy efficiency and sustainability and the development aims to minimise the use of imported energy whilst maximising the use of absorbed energy. The building incorporates chilled beams for cooling and façade systems that contribute to passive solar control. As a result energy costs and carbon emissions are significantly reduced.